Eagles right tackle Lane Johnson. The Eagles had three key players get hurt in Thursday's win in New York. Here are some early updates on two of these, their All-Pro offensive tackles. The future hall of famer has a reported torn bicep, but Doug Pederson in his news conference Friday said the initial news he heard from medical staff was "positive." The injury sounds minor, and according to reports he is going to try and play through it — pending further evaluation. #Eagles LT Jason Peters is believed to have suffered a torn bicep, though he told reporters post-game he was OK. I’m told doctors are optimistic that he’ll be able to keep playing, though the MRI is pending. If Peters is unable to play, as he did last year, Halapouilivaati Vaitai would start at tackle going forward. However if the Eagles are without both their left and right tackles it could get complicated. Johnson entered the game Thursday with a high ankle injury and was a gametime decision, who ultimately played. It appeared he re-injured the ankle and did not reenter the game, though it may have been precautionary. When he left, it was Isaac Seumalo at tackle with Stephen Wisniewski in the game at guard. It is a lingering injury. 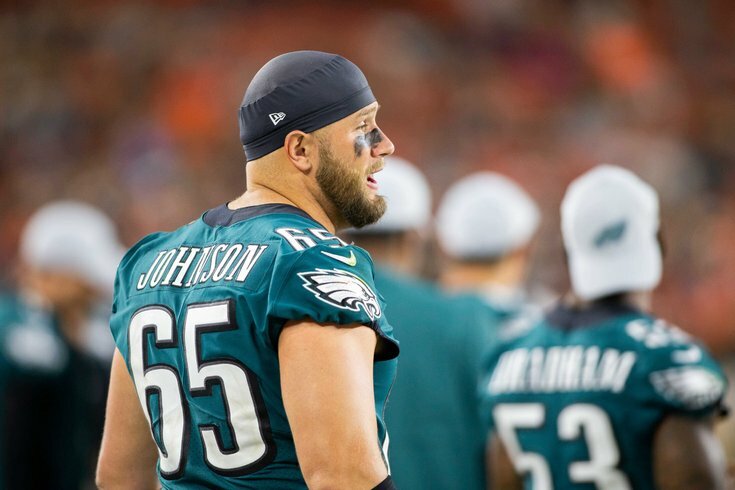 "Lane Johnson injured his ankle vs. Vikings," Pederson said, "Tough kid battled through it." Injuries are mounting and could play a big role as the middle of this season continues. But a win last night makes the position shifting — which occurred substantially on the offensive line as well — easier to take. 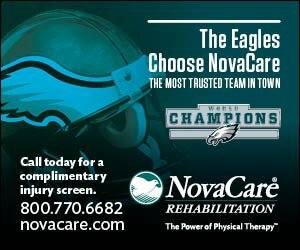 "They're not making excuses for injury and that's what our culture has established," Pederson said, "that's what a veteran led team establishes.... they rose to the occasion last night and played well in all three phases."